just leave everything to us. 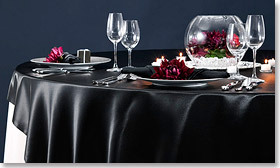 Various catalogs offer you to find your perfect match such as colors and images of table linens, napkins, chair covers and tapestries for spatial presentation. After ordering our products and the set the date of the party venue, you just need to wait for the beautiful linens to arrive. We also take care of collecting them after the party. Without the need for purchase, you can select the item that matches the concept and atmosphere of the party venue. You can co-ordinate your vision at a low cost. For Wedding receptions, banquet halls and various occasions, we are happy to serve you. 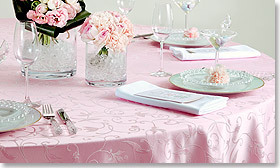 You can see products for wedding banquet halls in the "Banquet Cloth Catalog". 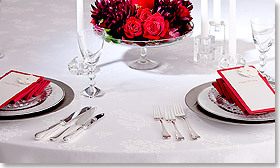 You can also confirm color coordination of table napkins and cloths visually in CG. You can achieve a decoration of your perfect image at low cost.